Paris is expensive, but there are ways to eat cheaply and well while people watching and sightseeing. You can save your money for the museums and nightclubs, enjoying April, June or August in Paris. Stop by an artisan boulanger. While the boulangeries (bakeries) seem endless, it’s the artisan boulangers where the food is made onsite. There are large selections of breads, and walking out of a store, baguette in hand, made me feel particularly and pleasantly French. If you get a traditional baguette, you’ll be getting the long loaf. This crunchy bread will get hard and go stale quickly. Some say the shelf life of a baguette is less than six hours. To get it sliced at the store, ask for tranche. 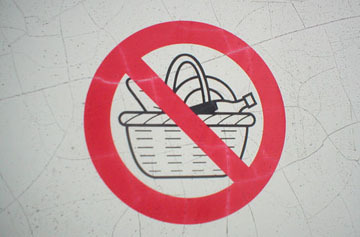 Or ask specifically for pain de mie, or sandwich bread. Baguettes cost €1 to €2. You’ll probably want to top your baguette with some French cheese. There are over 200 varieties in fromageries (specialty cheese shops). But if you’re looking to stay on budget, many grocery stores have a great selection. Though the “Président” brand is to be avoided – it’s the most basic, factory produced option in the store. If you’re me, bread and cheese is good enough. But if you’re more health-conscious, check out the open markets selling fresh fruits and vegetables. Each district has at least one weekly produce market, open from at least 9AM, if not earlier, and closing down around 1 or 2PM. 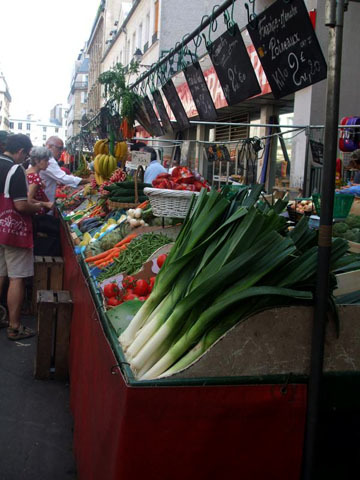 My favorite is the Aligre market along Place d’Aligre in the 12th district, open every day except Monday. 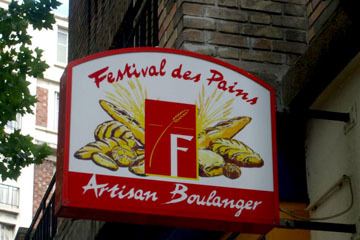 Many boulangeries are combined with a pâtisserie, (pastry shop). You can pick up quiches for around €3 and fresh fruit tarts for €2. Quiches can be toasted onsite or served cold, both are good. When you come in, make sure to say ‘bonjour’ to the shop keeper. If you smile through your butchery of the French language and seem happy and warm, you’ll get better service. These are also ideal places if you don’t know much French, as you can point and smile to order. It’s not elegant, but you’ll know what you’re getting. Or just order a croissant. All pastry shops will have some version of the flaky treat from plain to ham and cheese (jambon et fromage) to chocolate (chocolat). A crêpe can cost you at least around $10 or €7 in a restaurant. You can get one on the street for between €1.50 and €4.50, depending on the area and the filling. Around Notre Dame and really anywhere in the 1st – 5th districts, it will cost at least €3. Head out a bit, near the Bastille area, up near Montmarte away from the crowds, and you will find cheaper spots. There are two types of crêpe batter, one sweet, one savory. In some restaurants, they will only make one batch, and they will use that for both types of crêpes, and I can tell you that a gooey, cheese filling tastes horrible in a sweet crêpe. So at the street vendors, see if they have two separate mixes for the batter. If they don’t, it’s better to order a sweet one. The cheapest option is a plain sugar crêpe, but popular fillings include Nutella and banana. Admittedly, I don’t know much about wine. I know what I like, and that’s always through trial and error. I don’t know what wine goes with what food or what region makes the best merlot. But I do know that I chafe at having to pay €4 for a glass of wine when I could get a bottle for the same price at a local shop. Yes, there are fancy wines and champagnes available throughout Paris at specialty wine shops. But walking into any grocery store will give you a selection of French wines from €1.99 and up. And, at least to me, even the cheap bottles taste good and make the ideal accompaniment to a meal. 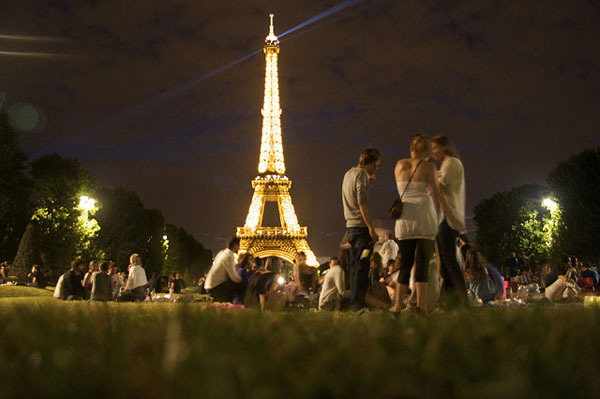 Maybe you just want to grab a seat on the nearest bench, but if you want to add a dash of romance or avoid car exhaust while you eat, the following are some sweet spots for a picnic in Paris. For people watching you can just take your food to any park. In the Tuileries Gardens, you can lay out your meal next to the circular fountains. You’ll be in good company with locals on lunch break. In the Luxembourg Gardens there are plenty of benches and open spaces, and you can watch people playing pétanque on the lawn. You can avoid the crowds and embrace nature by heading to the Bois de Bologne on the outskirts of Paris. It’s also a great spot for finding your own secluded spot, since the park is so big. Or head up to the Parc des Buttes Chaumont, where mostly locals and very few tourists go. It has waterfalls and a grotto along with an outstanding view of the city. 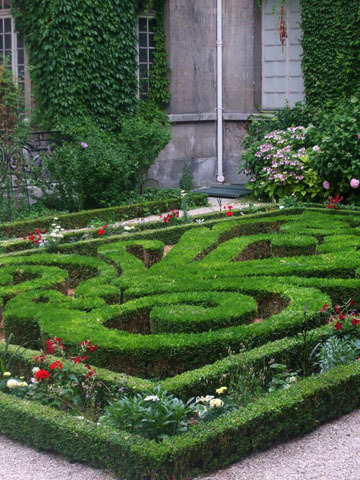 Closer to the city center, but less well known, are the gardens of the Musée de Carnavalet. Small and elegant gardens and the occasional sounds of a concert floating down from the upper floors make this spot perfect for quiet reflection. Dine in macabre style near the grave of Jim Morrison in the Pére Lachaise Cemetary. For a less crowded graveside dining experience, but still as legendary, head over to the graves of Oscar Wilde or Edith Piaf. 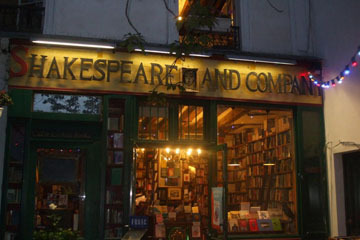 Why not pick a spot outside Shakespeare and Company, the famous English language bookstore on the banks of the Seine, with a view of Notre Dame? It’s ideal for pondering your life in the shadow of history. It’s also a spot to meet other travelers and expats shopping for books. If you’re feeling romantic, head to the Pont des Arts, the bridge where couples attach a lock to the chain links and throw the key into the river to symbolize their eternal link. There are benches all along the bridge. Or take your dinner and your sweetheart to a spot along the river. Walk down the steps from the road down to the riverside and find your own romantic spot. Another popular place for romance is along the tip of Île de la Cité, near Notre Dame. I have seen people unfold picnic blankets, pull out champagne glasses and light candles where they have a clear view over the Seine and the heart of Paris. Where to stay, how to save and What Not to Do in Paris are all topics covered in MatadorTravel’s Paris Focus Page where we centralize all our Paris content. And if you’re traveling France on the cheap, you’ll probably want to see How to Travel in France for Less Than $100 a Day.